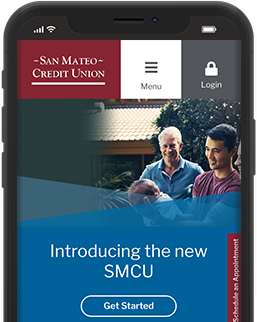 San Mateo Credit Union provides a link to this external webpage because it may contain related information of interest to you. This link does not constitute an endorsement by San Mateo Credit Union of any information, products or services on this external website. Save time by logging in first! 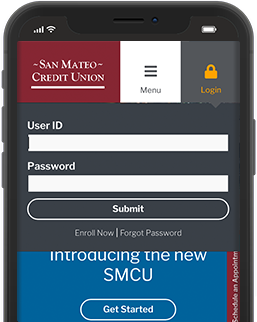 If you are a current SMCU member, sign into Online Banking and click the "Open an Account/Apply for a Loan" button. Your personal information will be automatically filled in for you. 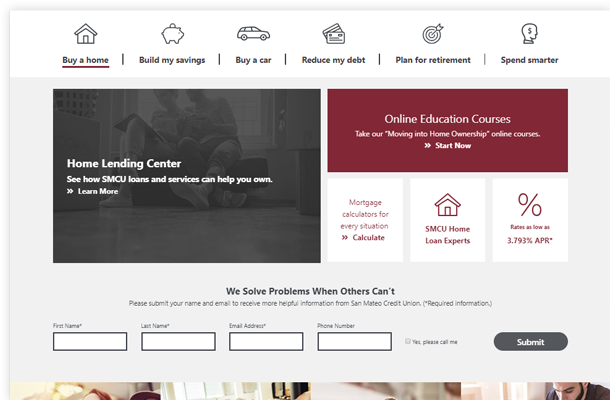 New to SMCU, or prefer to start with a blank application? If you don't have SMCU checking, open Free or Premium by May 31. Pay a slightly higher rate instead of paying closing costs. We’ll help you reach your long-term financial goals. Our wealth management team can create the strategy. Go online to open accounts and apply for loans. Manage money anywhere, anytime from your phone or device. Gain knowledge and do great things with your money. Run the numbers before you make a financial decision. Join us and interact on all the popular channels. You deserve to be as comfortable buying a home as you will be living in it. At San Mateo Credit Union, we know that financing a home here in California can be daunting, but we make it happen for people just like you everyday with fixed-rate home loans that help you budget with certainty. After all, life has enough moving parts. Your mortgage rate doesn't have to be one of them. Lowest Down Payments: Our lowest down payment is 3% on conforming loan amounts up $484,350 and you can get a down payment as low as 5% up to $1 million. 80/10/10: Avoid paying private mortgage insurance (PMI) by putting 10% down, then using a second mortgage to put down another 10%. What kinds of fixed-rate loans are available and how long are the terms? Our fixed-rate home loans might be the key to opening the door of your new dream place. Let's take the first step together. All mortgage loans through San Mateo Credit Union are for homes in California only. Adequate property insurance required for the life of the loan. Flood insurance may be required. All loans are subject to credit approval. Please speak with a Real Estate Representative for current rates and information on loan limits as additional conditions and restrictions may apply. San Mateo Credit Union NMLS #416747. We’ll do all the work to find your next vehicle. 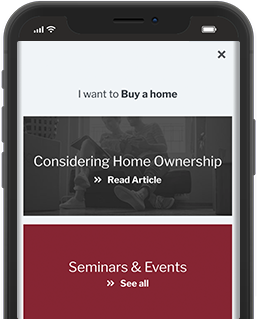 understand all the details of buying a home. How Much Home Fits In Your Budget? to buy a home without breaking the bank. Build your budget around a predictable loan to pay for major expenses. 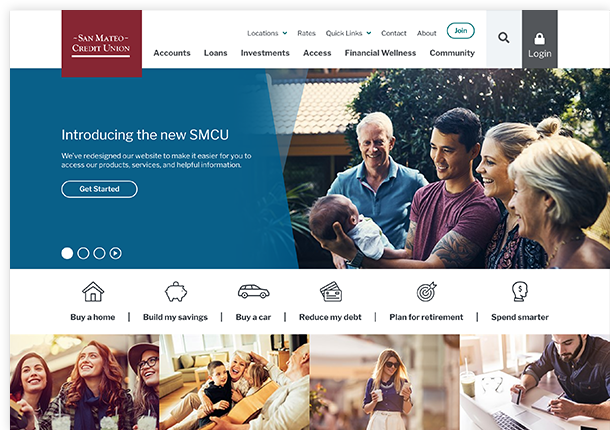 To stay current with SMCU, join us on our social media channels. 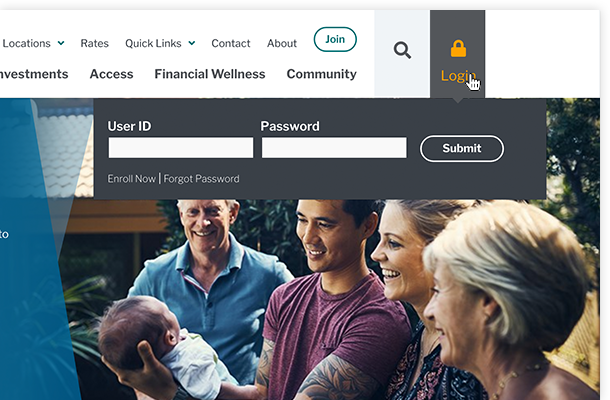 Committed to community involvement and financial wellness, San Mateo Credit Union in California offers personal and business banking solutions to our member-owners including checking accounts, savings accounts, debit cards, credit cards, personal loans, mortgages and much more. 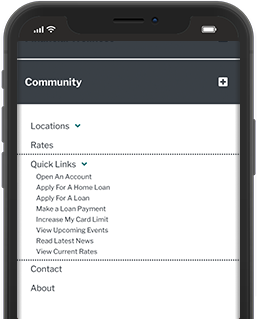 Bank online, through our mobile app or visit one of our conveniently located branches in Redwood City, San Mateo, Westlake, East Palo Alto, South San Francisco and North Fair Oaks. A new look for us means better experience for you. 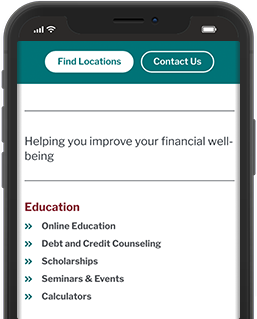 Our redesigned site makes it easy to find what you need and it looks great on desktop and mobile. Access to your account is only a couple clicks away. To log in, click the Login button at the top of any page, then enter your user name and password, which have not changed. 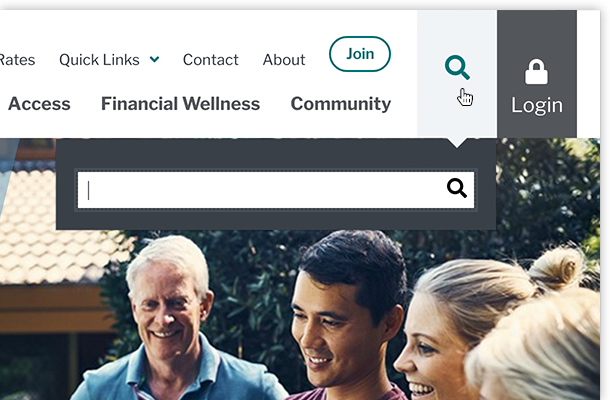 Find answers fast using our convenient search tool. Just submit your question to get a full range of results found within our site. 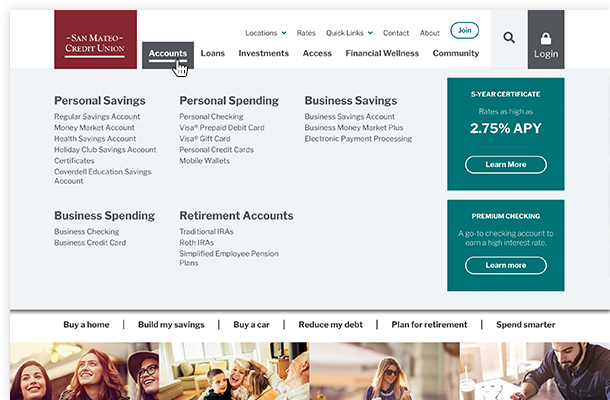 Choose a financial milestone on the homepage to read online educational materials, plan for related events, check out products and helpful resources, and more. 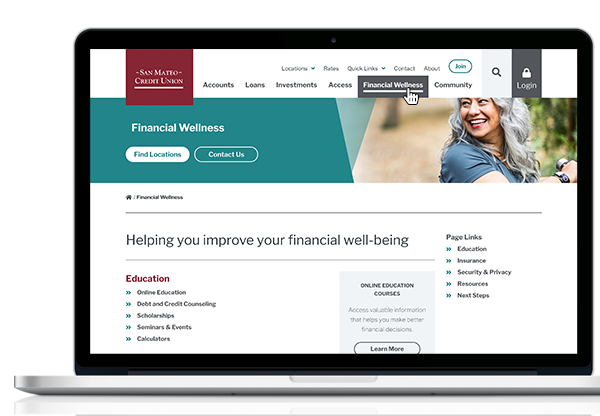 From useful calculators to online financial education courses to security tips, SMCU has an entire section dedicated to keeping you financially fit.